(a) In February 2017, several neighborhoods within the City of San Jose experienced severe flooding that forced the evacuation of 14,000 residents and caused significant damage to public and private property throughout the city. A number of communities and mobile home parks along Coyote Creek were submerged when a series of storms brought heavy rain to the Coyote watershed that exceeded the capacities of both the Anderson Reservoir and Coyote Creek. (b) The flood had significant impact on the communities along Coyote Creek in the City of San Jose, and tenants living within the neighborhoods that were impacted were not aware that the properties they rented are located within a special flood hazard area or an area of potential flooding. (c) Sections 8589.3 and 8589.4 of the Government Code require a person acting as an agent for a transferor of real property, or the transferor if he or she is acting without an agent, who has actual knowledge that the property is located within a special flood hazard area or an area of potential flooding to disclose that fact to a prospective transferee. (d) The disclosures required by this act are warranted solely by (1) the fact that residential rental properties located within an inundation area or an area of potential flooding is known by landlords and (2) the ability of a landlord to disclose this information for the safety of tenants. (A) The owner has received written notice from any public agency stating that the property is located in a special flood hazard area or an area of potential flooding. (B) The property is located in an area in which the owner’s mortgage holder requires the owner to carry flood insurance. (C) The owner currently carries flood insurance. (4) That the owner is not required to provide additional information concerning the flood hazards to the property and that the information provided pursuant to this section is deemed adequate to inform the tenant. (b) The disclosures required by this section are subject to the requirements of Section 1632 of the Civil Code. 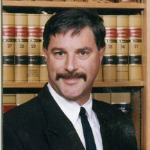 (a) (1) A person who is acting as an agent for a transferor of real property that is located within a special flood hazard area (any type Zone “A” or “V”) designated by the Federal Emergency Management Agency, or the transferor if he or she is acting without an agent, shall disclose to any prospective transferee the fact that the property is located within a special flood hazard area. (2) A person who offers for rental a residential dwelling unit that is located within a special flood hazard area (any type Zone “A” or “V”) designated by the Federal Emergency Management Agency shall provide written notice to a prospective tenant of the fact that the property is located within a special flood hazard area prior to execution of a rental agreement. (1) The transferor, or the transferor’s agent, or the person offering for rental a residential dwelling unit, has actual knowledge that the property is within a special flood hazard area. (2) The local jurisdiction has compiled a list, by parcel, of properties that are within the special flood hazard area and a notice has been posted at the offices of the county recorder, county assessor, and county planning agency that identifies the location of the parcel list. (1) The Local Option Real Estate Disclosure Statement as provided in Section 1102.6a of the Civil Code. (2) The Natural Hazard Disclosure Statement as provided in Section 1103.2 of the Civil Code. (1) Persons specified in Section 1103.11 of the Civil Code. (2) Persons acting under a power of sale regulated by Section 2924 of the Civil Code. (e) Section 1103.13 of the Civil Code shall apply to this section. (f) The specification of items for disclosure in this section does not limit or abridge any obligation for disclosure created by any other provision of law or that may exist in order to avoid fraud, misrepresentation, or deceit in the transfer transaction. transaction or the rental agreement. (g) A notice shall be posted at the offices of the county recorder, county assessor, and county planning agency that identifies the location of the special flood hazard area map, any relevant Letters of Map Revision from the Federal Emergency Management Agency, and any parcel list compiled by the local jurisdiction. (a) (1) A person who is acting as an agent for a transferor of real property that is located within an area of potential flooding shown on an inundation map designated pursuant to Section 8589.5, or the transferor if he or she is acting without an agent, shall disclose to any prospective transferee the fact that the property is located within an area of potential flooding. (2) A person who offers for rental a residential dwelling unit that is located within an area of potential flooding shown on an inundation map designated pursuant to Section 8589.5 shall provide written notice to a prospective tenant of the fact that the property is located within an area of potential flooding prior to execution of a rental agreement. 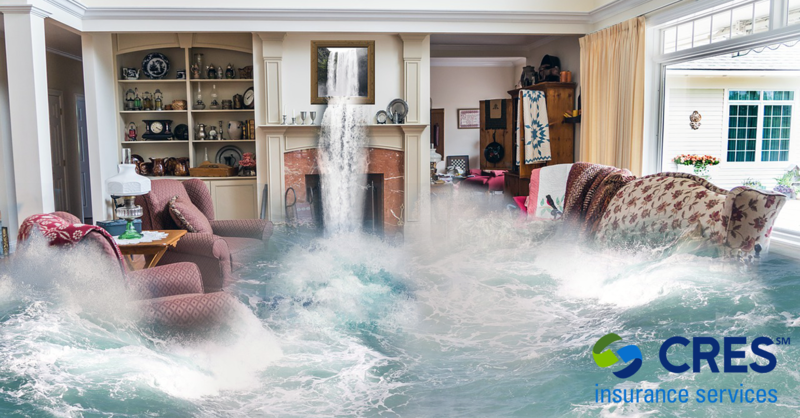 (1) The transferor, or the transferor’s agent, or the person offering for rental a residential dwelling unit, has actual knowledge that the property is within an inundation area. (2) The local jurisdiction has compiled a list, by parcel, of properties that are within the inundation area and a notice has been posted at the offices of the county recorder, county assessor, and county planning agency that identifies the location of the parcel list. (f) The specification of items for disclosure in this section does not limit or abridge any obligation for disclosure created by any other provision of law or that may exist in order to avoid fraud, misrepresentation, or deceit in the transfer transaction. transaction or rental agreement. Any listing agent (or the seller or real property) who knows that the listed residential parcel is in a designated flood zone or has the potential for flooding must disclose this material fact in writing to all potential buyers of the parcel where the written disclosure is dated, signed and returned to the listing agent well before close of escrow. If a residential parcel is being rented out the same written disclosures to the prospective tenant is required to be given to the tenant by the listing agent, property manager or the landlord if the residential rental is in a flood zone as well as the insurance and mortgage information requirements as mandated by Government Code section 8589.45. California Bureau of Real Estate licensees should establish a protocol within their respective brokerages that effective June 1, 2018 the requirements of California Government Code sections 8589.3, 8589.4 and 8589.45 are complied with.